The next leg of the record-breaking David Bowie Is exhibition at Museu Del Disseny De Barcelona (http://smarturl.it/DBisBarcelona), kicks off with a rather special launch party. 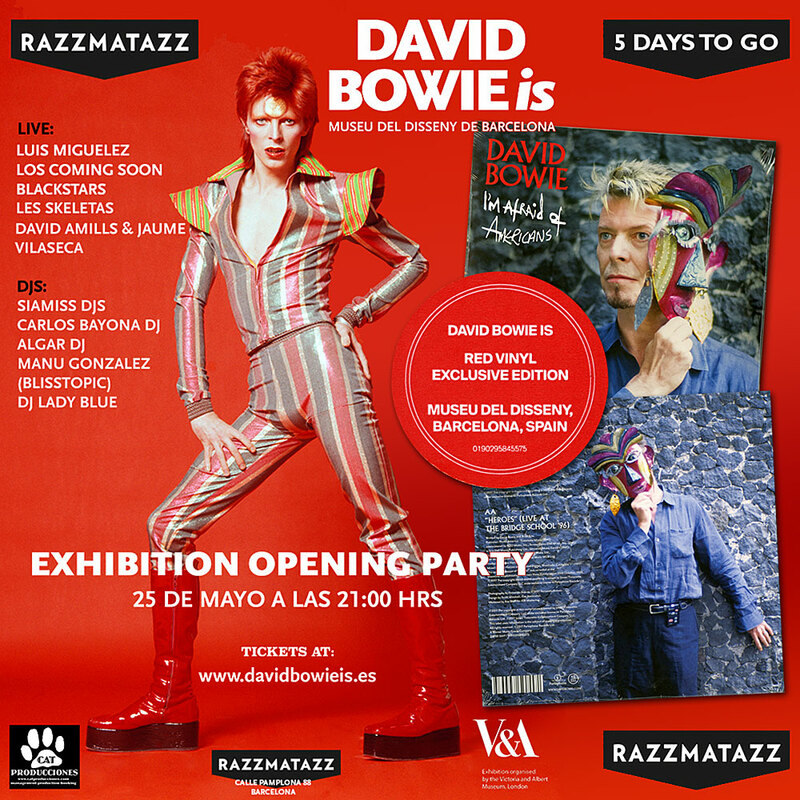 May 25th: Official Exhibition Opening Party at Razzmatazz 2 with live concerts and Dj sets. Go here for more information and to purchase tickets. Read more about the exclusive limited edition red vinyl of I’m Afraid Of Americans, released exclusively at the exhibition venue only on the same day.